So often I hear parents saying that they wish they could find a way for their children to spend more time outdoors. Yes! Grab a hold of that dream for your kids and don’t let it go, because it may become one of the most beneficial things you ever do for your family. From improving health, increasing academic performance and encouraging emotional healing, the benefits for children of spending more time outside cannot be underestimated. Children are naturally drawn to outdoor play, but despite this fact, many of us struggle to give them as much time outside as we had hoped. We envisaged our children playing for hours freely in sunshine, climbing trees, catching frogs, and only venturing home when they were hungry enough to leave those delights behind. But our reality is often so far from this dream. 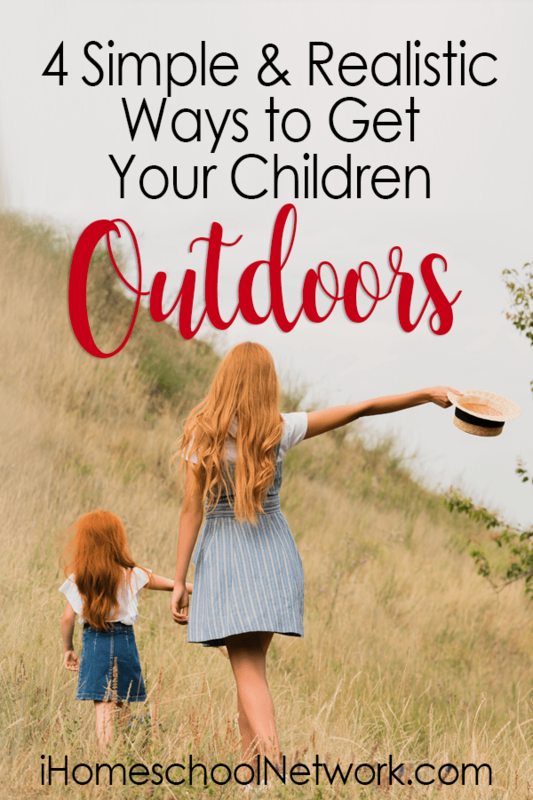 There are many ways you can encourage children to spend more time outside, and that is what I hope to discuss with you in this blog post. In some ways, I believe that it is the idealistic dreams we hold onto that limits us. If our lives don’t match up to the vision we had for our children’s lives, many of us don’t even try! Instead of focusing on the big dreams, lengthy natural hikes and camping trips, try to think small. Focus on what can easily be done on a regular basis; like a daily walk around the neighborhood, playing in your local park once a week, eating lunch outdoors, or even doing a little homeschooling outside! Small, but regular acts of time outside, that can slowly be built upon, are the best way to begin. Once that short daily walk becomes part of the natural rhythm of your household, you could begin to increase the length of the walk, or drive further out of town to a more rural setting. Once you get used to having lunch outside, you could add a little read-aloud time on afterwards! Think small, not big! If your children are not used to being outdoors for long periods of time, it will take time for you all to adjust. Be patient with them, and yourself, until you find what works for your family dynamic. Think about your strengths, and your children’s interests, and find outdoor activities to match. That might means learning a new outdoor sport, or taking your art supplies to the beach to paint pebbles. It might mean teaching them to grow their own vegetables, or picking strawberries at a nearby farm, to make jam from later. Don’t be afraid to try new things, and learn new skills yourself. As a homeschooler, you already know that one of the greatest joys of home-education, is that you get to learn alongside your children. You may discover a new talent or hobby that will bring you pleasure, as well as your family, in the future. Sometimes, when you’re trying out new things, they don’t work out. We’ve all had disastrous nature walks or a sporting mishap somewhere along the way. It’s all just part of finding your own way. When this happens, don’t give up! Just try something else. One of the many reasons we struggle to encourage our children to get outdoors is that many of us no longer feel it is safe to allow our children to explore outside independently. Today, at least one parent needs to be supervising. This can be a big challenge for many of us, who are increasingly busy with work and our other roles within the home. I can relate to this problem myself. 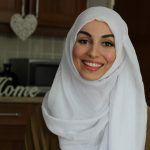 Right now, I am sitting on my doorstep, enjoying the sunshine, watching my daughter play outside, whilst I write this article for you. It’s not easy, in between the “Look at me!”s, “Carry me!”s and games of hide-and-seek! But by staying flexible, and bringing my work outside, I am able to give her some more time to play in the fresh air. If you have jobs you can bring outside, then do that! It could be work on your laptop or phone, reading, sewing, or any job that can be done outside of the home. But a small word of warning; don’t overdo it! I want you to enjoy the time outdoors as well! So sometimes, leave the distractions at home, and be present with you children in the great outdoors. There is nothing worse, than finally making it to the woods or somewhere for an afternoon outdoors, and then the children start complaining that they’re hungry, or cold, or hot! Before you step out of your front-door, try to prepare for every eventuality. That means, spare clothes for everyone, even you! It also may mean warm and waterproof clothes. I love these Regatta all-in-one waterproof rompers for toddlers, especially those that insist on sitting-down in puddles! Alternatively, if you are one of the lucky ones living in warmer climates, it may mean a good baseball cap and sunglasses. Being prepared for the outdoors also means plenty of snacks and drinks. I always try to bring my thermos out with me, especially if it’s cold. There is something so restful about drinking a cup of tea, in the woods or at the beach, watching your children explore. Whatever stage of motherhood you are in, wherever you live in the world, I hope this article has been an encouragement to you and given you some practical ideas of how to get outside more with you children. Did I miss anything? What would you tell another homeschooling mother who wanted to spend more time outside with her children? Please share your advice with us all in the comments below.